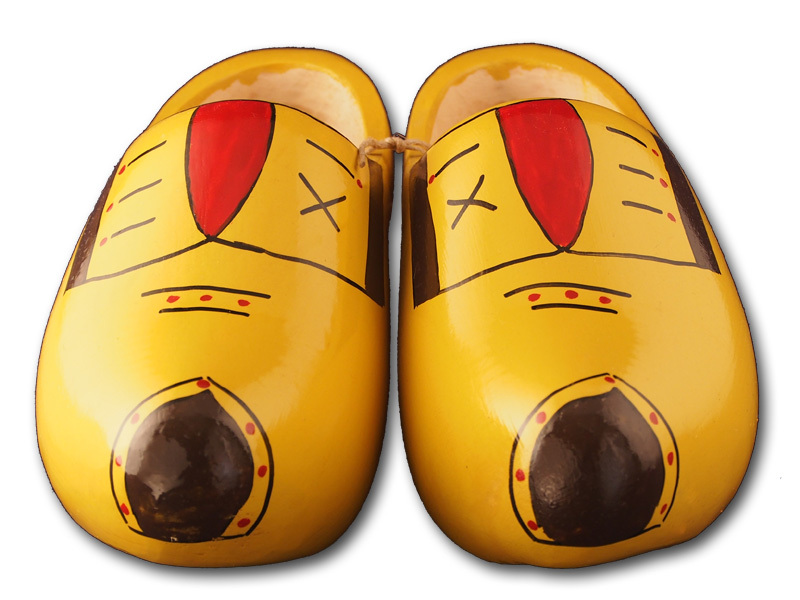 These are our most special traditional Dutch wooden shoes, model “Aarle”. 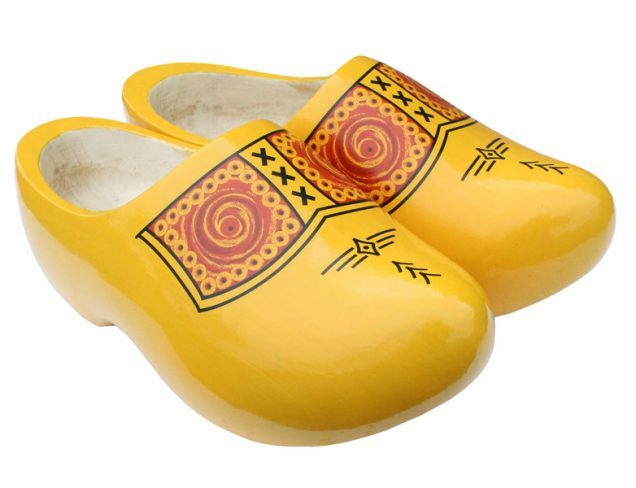 These yellow clogs have a unique print painted on them by hand by our clog maker. 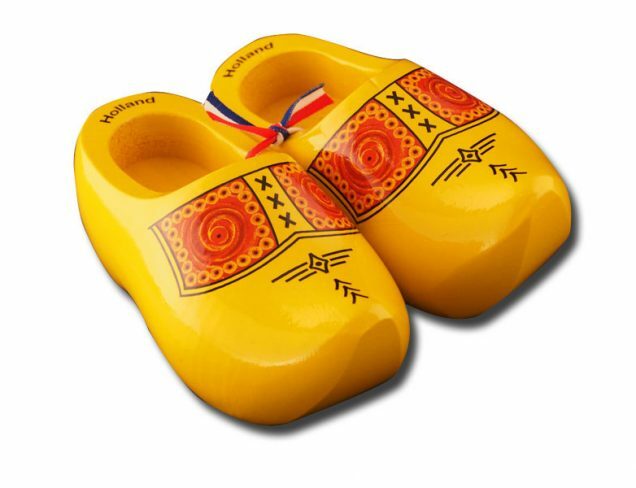 The base color of the clogs is yellow. 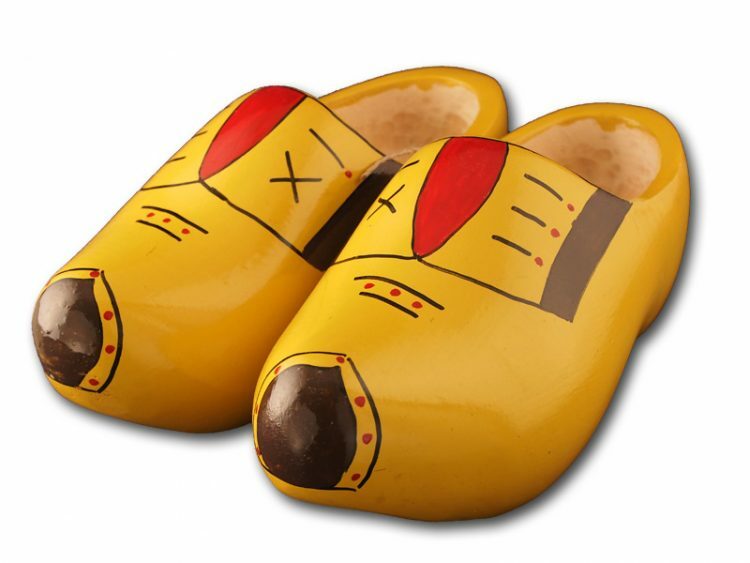 The clogs are decorated with brown noses with dots around them. The inside of the clogs are not painted, as usual and left blank. 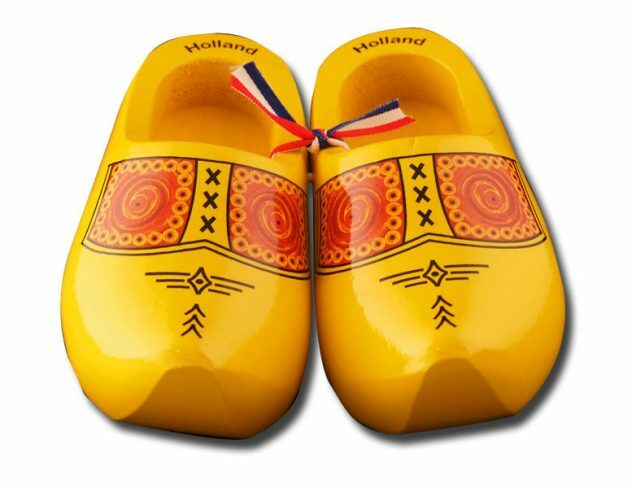 Clogs are mostly made out of willow and poplar. Willow wood is preferable, but it is scarce and therefore significantly more expensive. Both types of wood have a fine dense grain and are fairly durable. 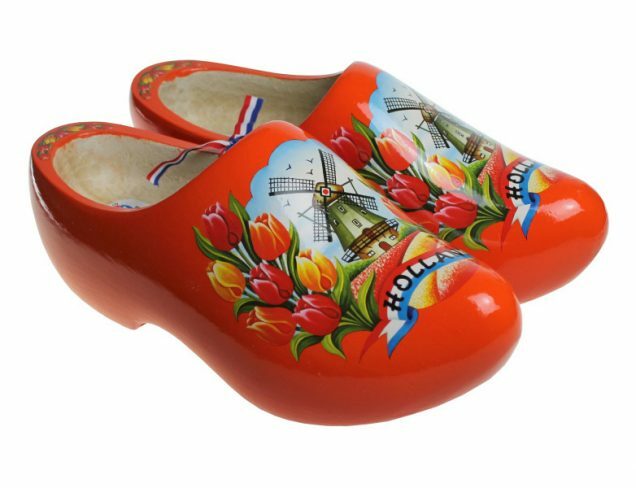 The clog maker uses the wood when it is green and young. This fresh, still moist wood (60% water) is suppler and therefore easier to work than hard, dry wood. 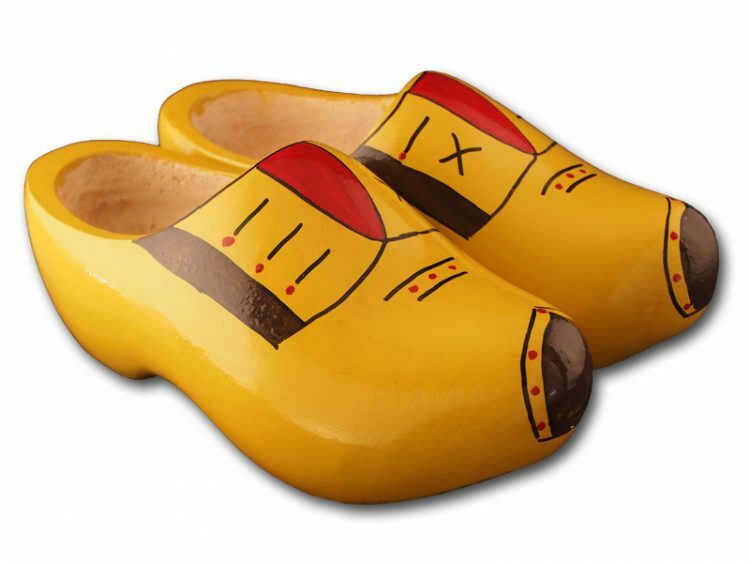 Read more about the history of wooden shoes. 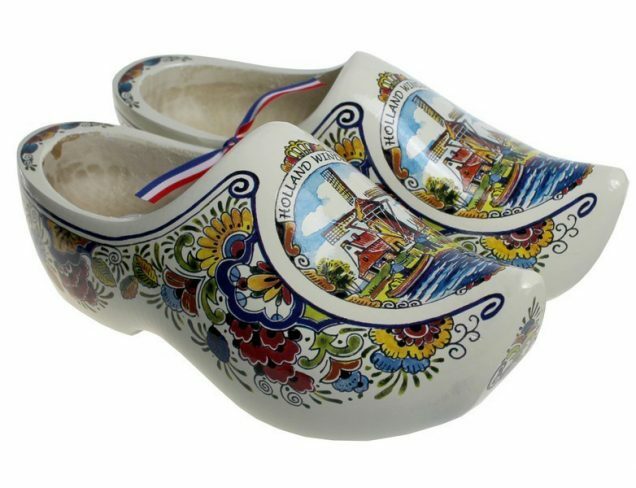 These clogs are fantastic quality and were hand made to order with an impressively timed turnaround. Exactly what I needed and the customer service and delivery was handled extremely well. Very recommended. Thank you Mr. Whitty for your review! Very nice, exceeded my expectations. High quality at a very reasonable price. Delayed for a scratch, but the company expedited delivery. I received them in plenty of time.